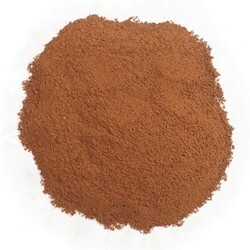 Korintje Cinnamon is a gourmet Grade "A" cinnamon with a 3% oil content and flavor that is full, balanced and spicy. Korintje, or Indonesian cassia, is the most commonly found cinnamon in American kitchens. It is sourced from higher elevations and is harvested a bit earlier than Chinese or Vietnamese cinnamons and has a stronger, spicier flavor.